MONPLAISIR the Agreement is out ! 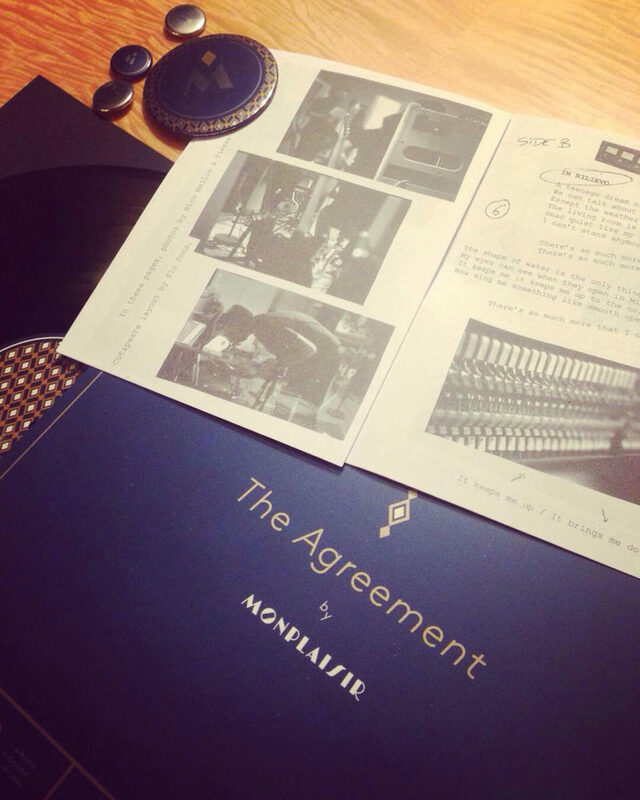 350 copies on black vinyl including a booklet with lyrics and notes about the recording, coreleased with Adagio830. Preorders will come when the test pressings will be aproved. 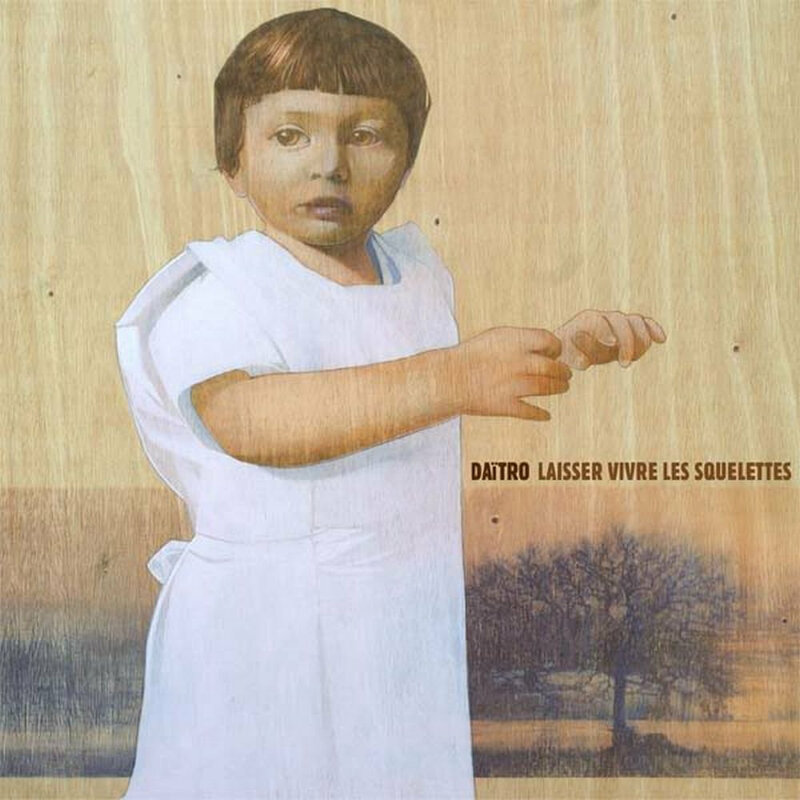 As the 300 copies sold super fast, I repressed a new batch of Daïtro‘s Laisser Vivre Les Squelettes for those who couldn’t get it, it’s out now. You will get the same thing (flyers, DL code, lyrics and a small article about the writing / recording process) and they still look like this picture below. Don’t wait, there are only 200 copies available and I don’t plan to repress it again since I’d like to slow down the label activity a bit in 2018. It will be released on nov. 20th. you can preorder it right now and order a special priced bundle with the Mihai Edrisch LP (both album were released in the same time back in 2005) for those who didn’t get their copy yet. Also, I did a sale on the back catalog to get some space. Check the mailorder page to find cheap oldest releases ! 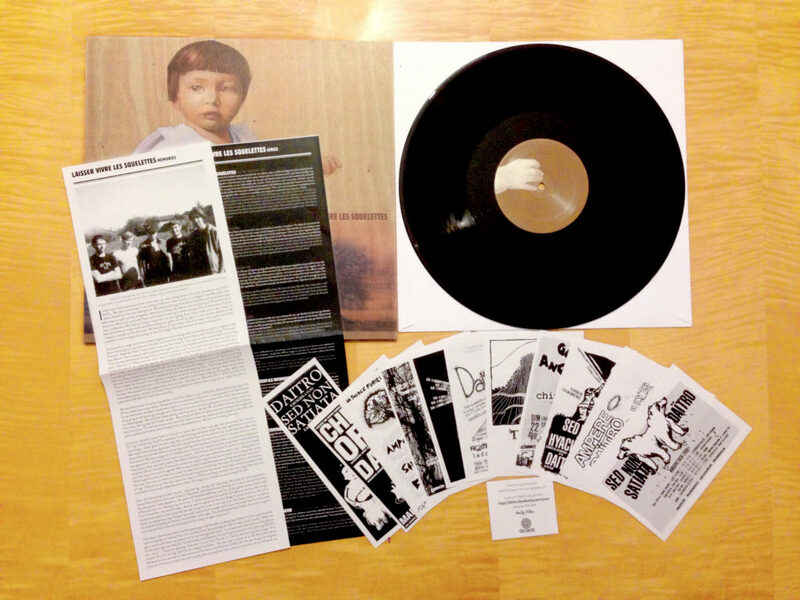 I am stoked to announce that the Mihai Edrsich Un Jour Sans Lendemain LP is finally available again ! 500 copies pressed on colored vinyl, comes with a 12 pages booklet with an interview of the band members from 2017, pictures and lyrics, reproductions of flyers and a DL code. A true labor of love ! For those who are not familiar with the band, Mihai Edrisch was like a comet in the sky… shortlived but full of light. 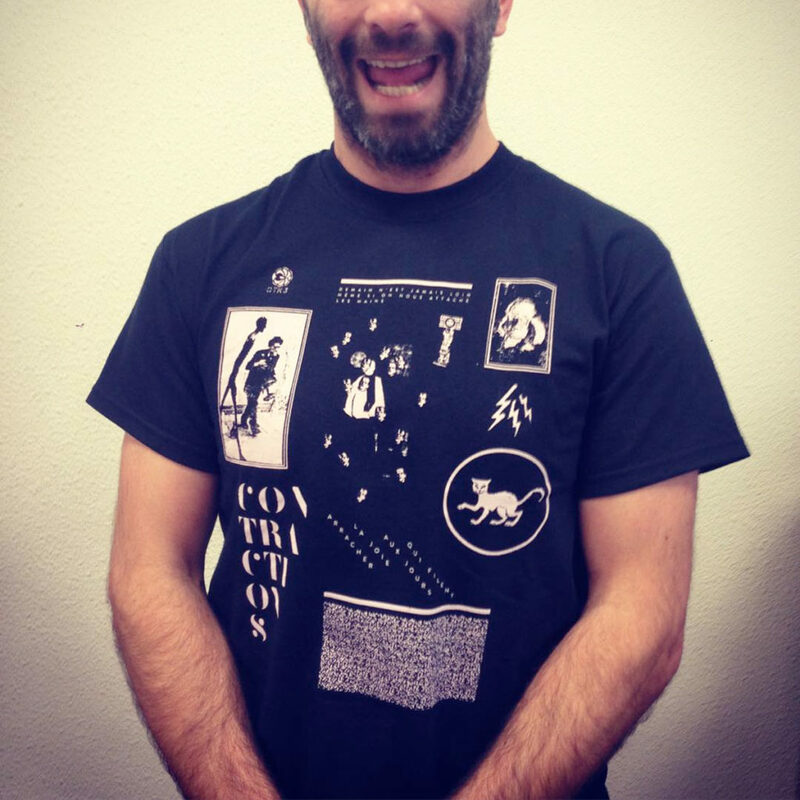 Active in the early 2000s, in a time when bands like Amanda Woodward, Daïtro, Belle Epoque, Gantz, Hyacinth, Sed Non Satiata & co were releasing records and touring, [b]Mihai Edrisch[/b] as well had that (what is trademarked now as) ‘french screamo’ touch but they pushed the intensity, complexity and depth further than their peers. Driven by emotional high-ends guitars, heavy drums, aerial bass lines and desperate vocals, that album is a true masterpiece for the genre and it was time to bring it under the light once again. 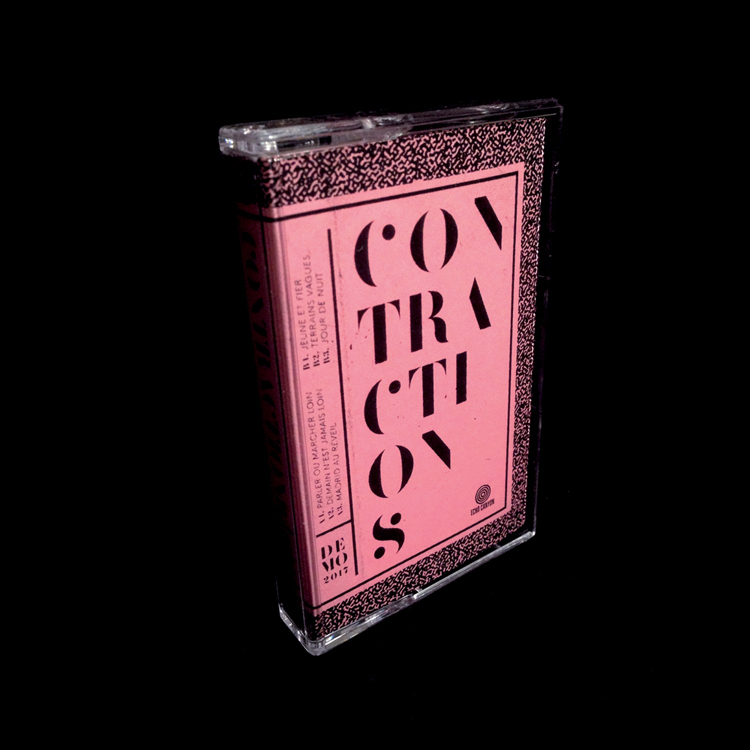 The demo from the new band Contractions is out now ! 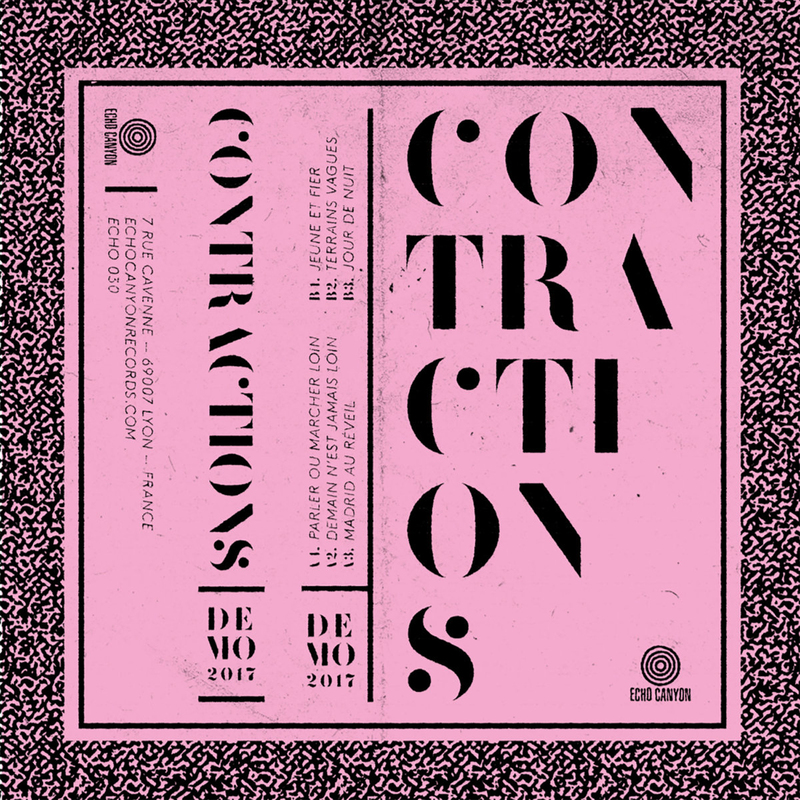 Contractions is a new band from Lyon & Besançon playing a kind of mix of indie and 60s garage and if you enjoy Greg Cartwright’s bands such as Reigning Sound or Compulsive Gamblers, Kevin Morby’s ones and 60s UK bands well, maybe you should like it. The band is comprised of your humble servant singing and playing guitar, as well as Buanx who plays in great bands such The Irradiates, Red Gloves and Hawaii Samurai and Lopin who also plays in the terrific Whoresnation, in case you already saw / met them… The band started with Camille, who sings and plays bass on the demo but she left and is now replaced by Lopin. Also, it is announced for a couple years now but it will soon become true : the MIHAI EDRISCH ‘un jour sans lendemain’ LP repress is at the pressing plant at the moment and it should be out in a month or so. 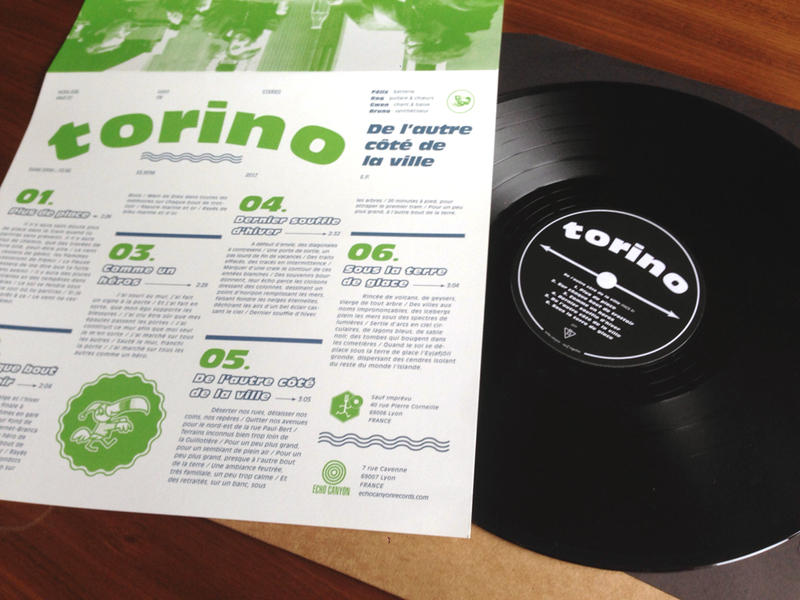 Hey friends, I’m stoked and proud to announce you that the unannounced Torino new 12″ called ‘De l’Autre Côté De La Ville’ (the other side of the city) is available now ! This will be their last E.P. 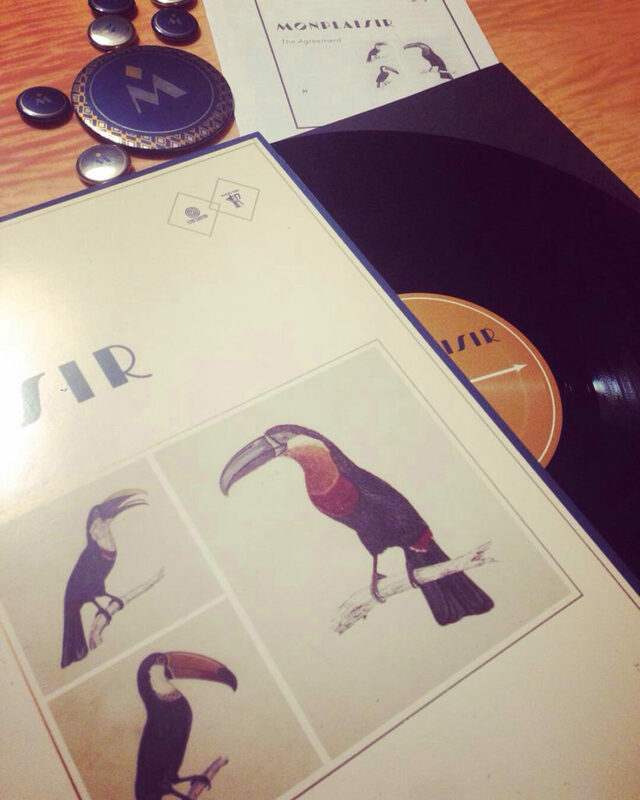 since the band is currently on hiatus so get your copy before they’ll be gone for ever. 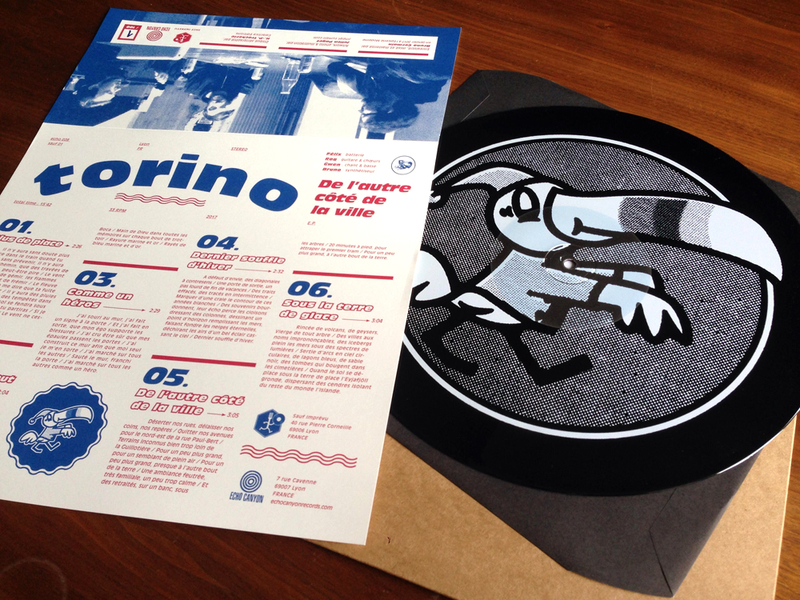 6 new songs on the side A of refreshing french melodic punk rock and a wonderful huge silk screen on the side B… comes with a 2 color printed insert, folded in a cardbord jacket, each copy is hand numbered. 35 copies printed in blue / red and 65 copies in green / dark blue. 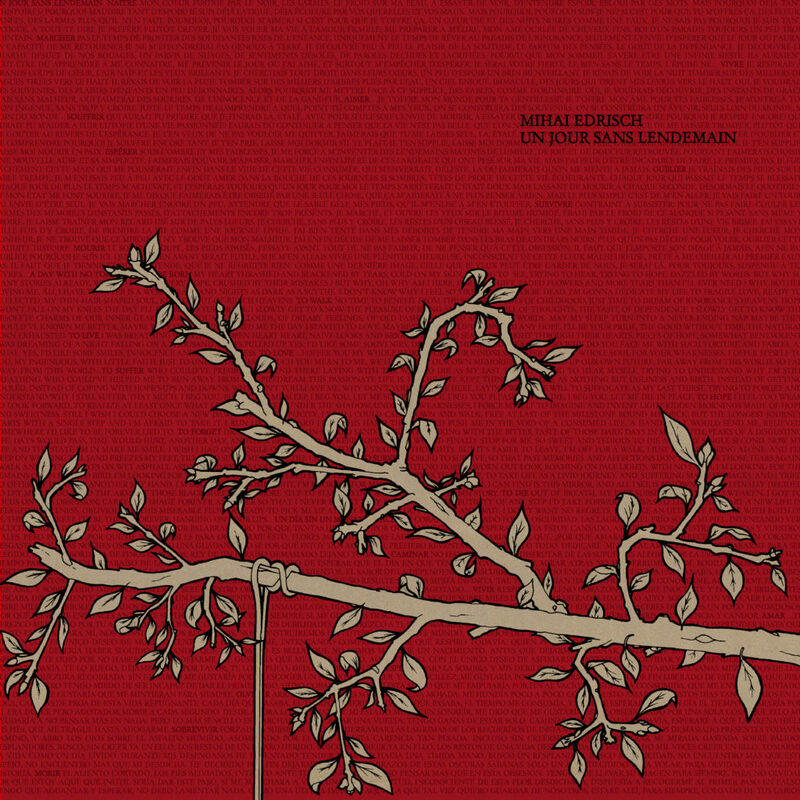 Meanwhile, I am also working on the repress of ‘un Jour Sans Lendemain’ of Mihai Edrisch to have it out in september ! FINALLY ! KINDLING no generation EP is out now ! 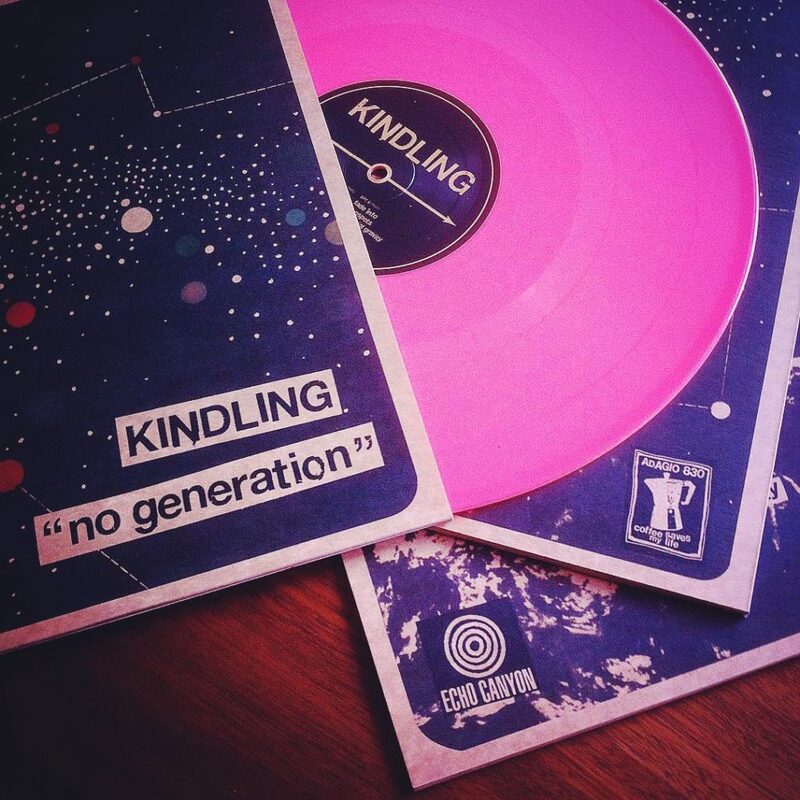 hey friends, today is the release day of the Kindling‘s No Generation EP. A quick reminder for those who didn’t know yet : Kindling (from Western Massachussetts in the USA) plays the shoegaze you’ve always dreamt of : dynamically layered monolith of towering guitar noise & wistfully hazy vocals, balancing deafening heaviness with a lightness and beauty; a pop sensibility rarely found when the volume and attack ends up this far in the red. You can also now stream another song from the EP on echocanyonrecords.bandcamp.com, purchase your copy there as well, or on the mailorder section right here as usual is you want to get some other releases. 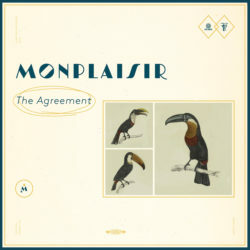 A tape version is also released in the US on Old Frame Records ! 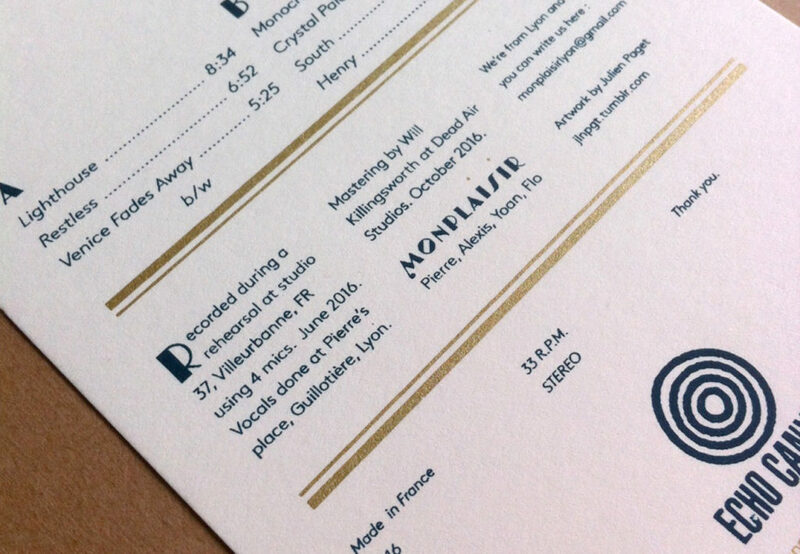 500 copies pressed on solid pink due due to a lucky mistake from the pressing plant… don’t miss it !! 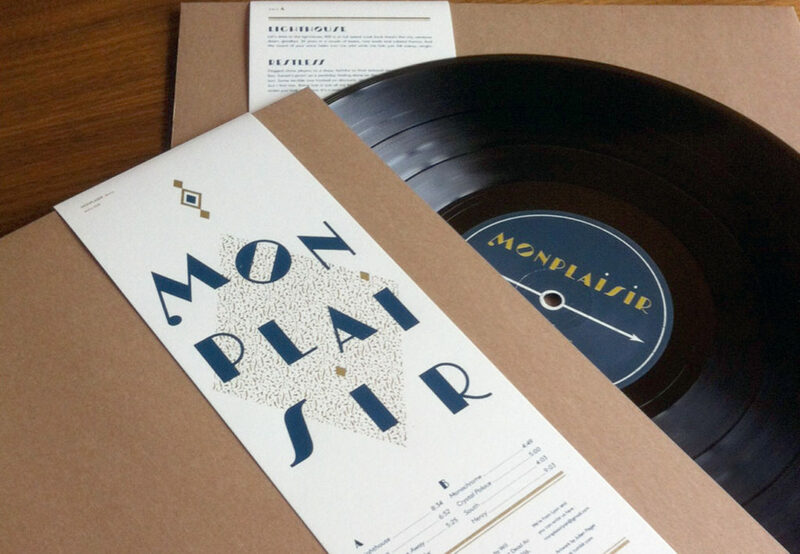 the Monplaisir demo 12″ is out now. Get your copy while it’s available ! 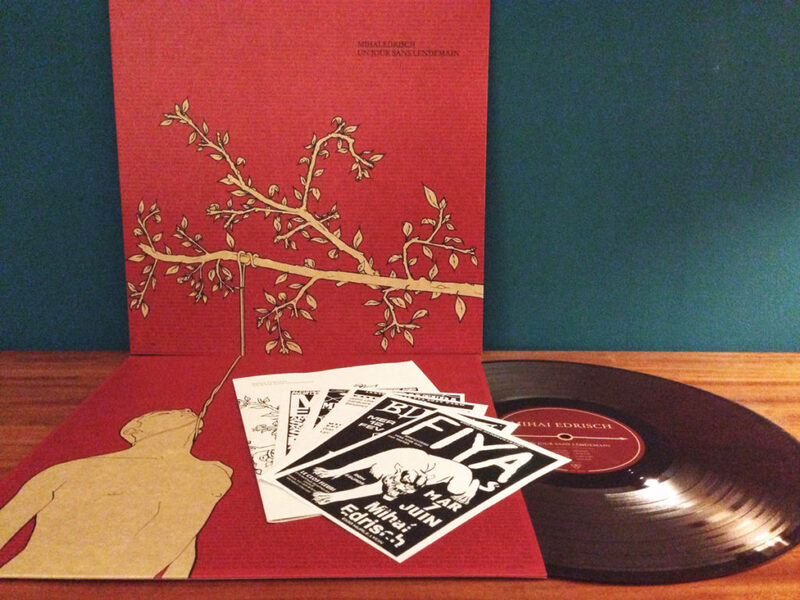 300 copies pressed on black vinyl, with cardboard jacket with a 2 colors screened obi wrapped all around. Have a look, they’re beautiful !